We invite you to join us from 5:30 - 8 pm on Thursday, November 15th as we welcome Certified Vestibular Rehabilitation Specialists Mickey Shah, PT, D.Sc. OCS, FAAOMPT, Cert.MDT, CSCS & Steven Tijerina, PT, DPT, Cert. VRT, to share their knowledge and expertise on "Peripheral Vestibular Hypofunction: Update in Clinical Practice Guidelines ". Every year, 69 million Americans are impacted by dizziness. The 2nd most common cause of vertigo is vestibular hypofunction, comprising approximately 15% of reported cases. Patients with unilateral vestibular hypofunction commonly report dizziness, visual blurring with head movement, and/or imbalance. Physical Therapy is a known evidenced-based treatment option for patients suffering from peripheral vestibular dysfunction. If you are interested in understanding the current evidence related to examination and treatment, please join us as Dr. Shah and Dr. Tijerina review the APTA’s updated clinical practice guidelines for unilateral vestibular hypofunction. Understand the clinical presentation for unilateral and bilateral vestibular hypofunction. Describe current evidence regarding clinical examination for vestibular hypofunction. Describe current evidence regarding treatment decisions and program design. Apply vestibular rehabilitation strategies for optimal recovery for patients with Unilateral & Bilateral Vestibular Hypofunction. 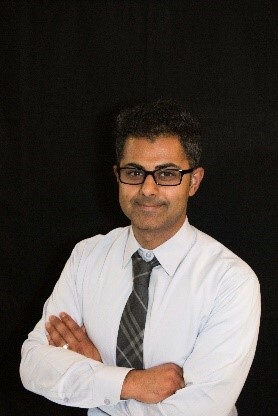 Mickey Shah, PT, D.Sc. OCS, FAAOMPT, Cert.MDT, CSCS, Certified Vestibular Rehabilitation Specialist has extensive experience as an orthopedic and vestibular clinician. He is the current president and head teaching faculty at EvidenceCEU, a Midwest continuing education company. Additionally, Dr. Shah owns and operates two private PT clinics in the South Suburbs. During his free time, he serves on the board of directors and manages Next Steps of O’Connor Foundation, a non-for-profit facility for patients with Neurological Disorders. 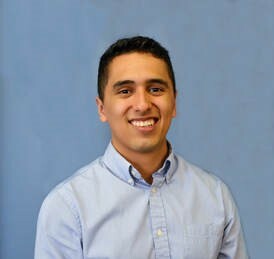 Steven Tijerina, PT, DPT, Cert. VRT, Certified Vestibular Rehabilitation Specialist currently serves as the course liaison and lab instructor for EvidenceCEU. Dr. Tijerina regularly hosts vestibular study groups in the south suburbs, aimed at assisting clinicians and students to discuss and practice vestibular rehabilitation in a collaborative group context. Additionally, Dr. Tijerina serves a private practice PT at Goodlife Physical Therapy.